Young America’s Foundation and the University of California Berkeley College Republicans have filed a lawsuit after the school canceled an upcoming speech by conservative author Ann Coulter, arguing the action violates the students’ constitutional right to free speech. “Though UC Berkeley promises its students an environment that promotes free debate and the free exchange of ideas, it had breached this promise through the repressive actions of University administrators and campus police, who have systematically and intentionally suppressed constitutionally-protected expression,” the suit reads. The university rescheduled the event for May 2 following backlash, but that’s a date that Coulter isn’t available for and it’s also “reading day” before exams when classes are not even in session. “It is a sad day indeed when the birthplace of the Free Speech Movement is morphing before our eyes into the cemetery of free speech on college campuses,” said Harmeet Dhillon, who represents the school’s College Republican chapter. In response to attempts to silence her, Coulter is vowing to show up as planned on Thursday, arguing she won’t allow her First Amendment rights to be stripped. “It is anarchy when you are only enforcing the law in order to allow liberals to speak. But, no, we’ll let these masked rioters show up with weapons and start – I mean, they are all little beta males, but with a weapon, even a beta male can do some damage, especially to a 99-pound girl,” the New York Times best-seller told Sean Hannity in a recent interview. The event was rescheduled due to security concerns, according to administrators, highlighting the willingness of the school to cancel events amid the threat of violence from leftist opposition. Overall, Berkeley has become something of a flashpoint in the violent resistance to President Trump. Just weeks ago, nearly two dozen people were arrested after anti-Trump protesters clashed with Trump supporters at a rally in the liberal enclave. Furthermore, there was even rioting when former Breitbart editor and provocateur Milo Yiannopoulos came to speak the school — an event that the public university also shut down. The canceling of Coulter is just the latest chapter in the debate over the suppression of conservative speech on college campuses, as even left wing figures like Bill Maher and Bernie Sanders are coming to her defense. “If you can’t ask Ann Coulter in a polite way questions which expose the weakness of her arguments, if all you can do is boo, or shut her down, or prevent her from coming, what does that tell the world?” Sanders told The Huffington Post. While Berkeley historically has prided itself on its willingness to embrace free speech and expression, the school has appeared to morph into something of a thought bubble, at times seeming almost eager to shut down events involving those on the right. The conservative firebrand is still planning to speak about immigration, the topic of one of her most recent books. “I’m showing up this Thursday. 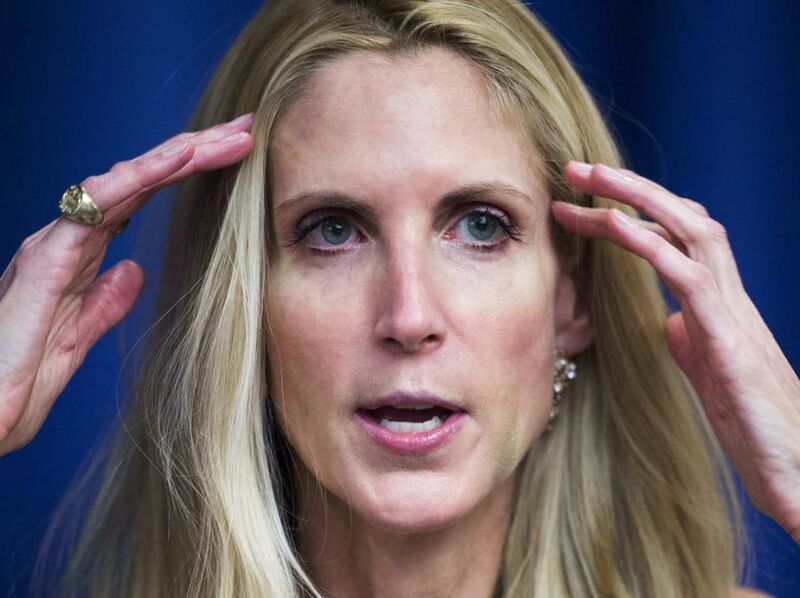 It’s up to the police to keep me safe,” Coulter said.